Even the stars of Hollywood are using cosmetic micro needling. The most famous celebrities Brad Pitt and Angelina Jolie have reported to have had the procedure! Micro skin needling encourages collagen and elastin production within the skin and helps to reduce the appearance of skin imperfections. The skin appears smoother, brighter, youthful and healthier. The Derma Roller medical device produces thousands of micro-medical needle-columns in the skin. Each column penetrates into the dermis of the skin and approximately 0.15mm in width. The column will close rapidly enabling the skin to recover quickly – often in the same day.To make the procedure as comfortable as possible, a topical anaesthetic cream is applied for normally 30 minutes and a further 30 minutes to complete the Derma roller procedure. After your procedure your body will start to naturally regenerate and repair the skin. This takes time as new collagen is formed, new skin cells are generated and blood supply is enhanced. It can take up to 6 weeks before visible signs of regeneration and repair are seen and the process will continue over the following months, providing you with a natural and long lasting enhancement. The procedure consists of a series of three sessions with approximately 6 weeks between them. 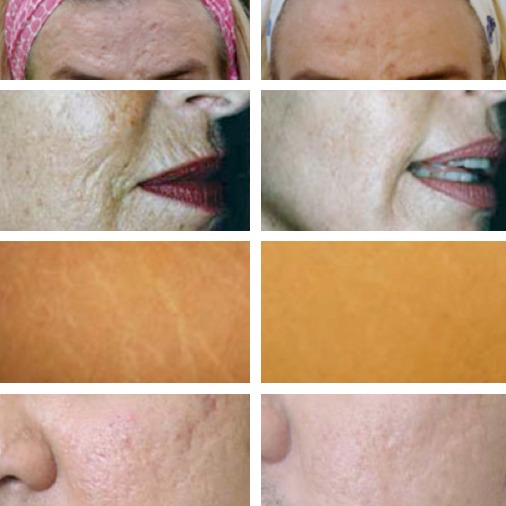 In the treatment of acne scars and other types of scarring it may be necessary to extend up to five sessions.